I don’t recall how I got his number, but when I called Dana Sutcliffe to talk about what is probably his most famous—at least known famous—guitar, he said we should do lunch. Dana lives just down the road from me in Delaware, so it was an easy meeting. I asked if he’d ever had Vietnamese pho (beef noodle soup, one of the world’s most perfect foods), and since he hadn’t and since he loves to eat, we met one day in one of South Philadelphia’s numerous pho parlors to discuss the genesis of the Alvarez Dana Scoop. It was, as it turns out, all the result of an accident. Sutcliffe grew up in the Philadelphia area and Delaware. At 13 years of age, he got one of those 4-pickup Kent solidbodies with the horrible pickups. He promptly rewound them and was on his way. Armed with guitar experience, in 1978-79 Sutcliffe cut his teeth on guitarmaking at the short-lived flop—but ultimately fascinating—Renaissance (plexiglass) guitars out in Newtown Square, PA. Most of you have probably seen his next work. Sutcliffe began working with another Delawarean, George Thorogood, converting Gibson hollowbodies to his taste and repainting them white. 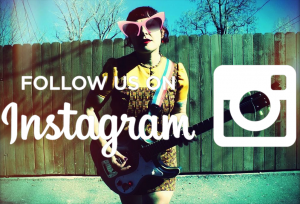 Sutcliffe began adjusting amps for a local Crate amp rep using a guitar with his own pickups, and that eventually led to a gig outfitting electrics in Westone solidbody guitars for St. Louis Music (Crate’s owner) in around 1987. The following year he had a line of Dana Westones. 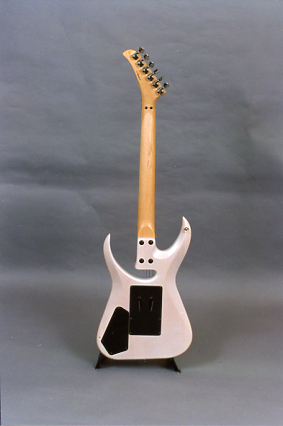 In 1988 one of Sutcliffe’s employees was working on a Matsumoku-made Westone body when the router hit a knot near the treble cutaway and accidentally cut a big gash in the body. The body was discarded, but another employee finished assembling the guitar. The next day it was the joke of the shop, but when Sutcliffe played it, it sounded really, really good. He fiddled around with the gash and invented the Dana Scoop prototype. However, the relationship between Sutcliffe and SLM quickly began to sour. 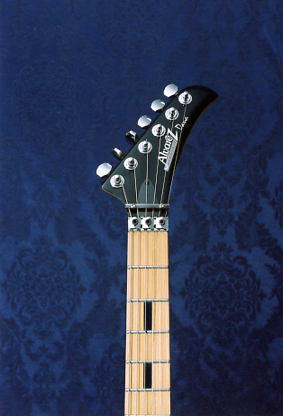 By 1994 versions of the Scoop that Sutcliffe had not approved began to appear, including the one with a Modulus Graphite neck and the guitar shown here with the 3-coil Tri-Force (probably a descendent of the Mighty Mite Motherbucker; Cort owned the Mighty Mite franchise by this time). Seen here is an Alvarez Dan Scoop AE650TRW from around 1994. It has a see-through butterscotch finish over a figured maple body with the unauthorized Tri-Force pickup. The fiveway offers five different one- and two-coil combinations. Controls include a master volume and two tones. These were basically made for about one year, possibly less. By 1995 Sutcliffe and SLM had parted ways. 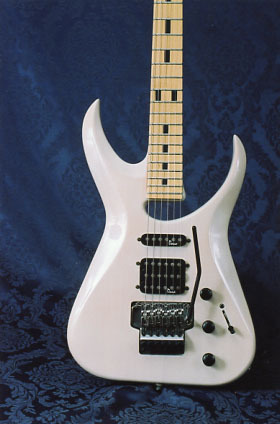 Since Sutcliffe had a patent on the Scoop design, the model also departed the guitar universe. Production numbers are impossible to determine with any accuracy, but Sutcliffe estimates that approximately 2-3,000 of the original design were made, plus a 500-700 more L.A. and Nashville Scoop variants, and a fair number of custom-shop examples. How many of these Tri-Forces were produced is a total mystery. The Alvarez Dana Scoop is pretty cool for a pin-router accident! And a lot of fun to play. It only had a brief roughly three year run, though it seems to loom larger than that. These days Sutcliffe keeps extra busy doing custom restorations and set-ups of high-end collectable guitars and banjos for well-heeled, mostly pro clients. We both keep trying to schedule another lunch, but so far it hasn’t worked out. Michael Wright, The Different Strummer, is a collector and historian whose work is featured in Vintage Guitar Magazine. ← Eastwood Sidejack Baritones are Back in Stock! ah, i remember see Dana Scoop guitars for sale when i was a freshman in high school. i started playing guitar at 10, but it wasn’t until a few years later that i really started to pay attention to guitars and be bitten by the “gear bug”. the tail-end of hair metal was still happening, and i thought the Scoops were pretty cool looking at the time. i’ve seen pictures of similar guitars online with the same body shape, but different headstock and noticeably lower quality. i still can’t figure out exactly which model i had, but it was quite a find to me at the time: the store was trying to get rid of it and sold it to me brand new for $300 w/ HS case just to clear some space for newer instruments. all i’ve ever been able to find is that mine was a higher-quality version of what went on to become a low-budget instrument. Thanks for the interesting article. My first “real” guitar after the $50 strat copy/amp/cord combo that was my first guitar, was a Dana Scoop. It is a Korean made guitar, I think it was around 91-92 when I got it. Not sure if this was an authorized version or not, and at the time I did not have a real tube amp. Sadly I ripped out the active electronics which I later have learned where suppose to be the bomb with a tube amp, because I got tired of dead batteries, and with my little SS practice amp, the difference between active and not active was not noticeable to my undeveloped ear. I still have the guitar, mostly because I learned another lesson about good stand practice with this guitar. It fell once and but a deep string impression in the treble side of the 9th fret. Had some people look at fixing it, but the cost has never seemed justifiable for such an instrument. Would be nice to get more information about the models production, the active electronics, schematics would be great. It would be cool to me to restore the guitar to it’s original condition. I managed to find one of these by accident. It seems like one of the local music chains got one in and didn’t realize it’s rarity. They had it priced at only $130.00. At the time i didn’t know what it actually was myself but jumped on it because of the odd shape. I got it that week and was very surprised at how cool it was and how great it plays. 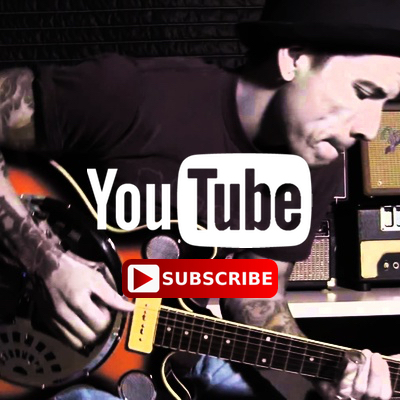 It has great tone and that upper fret access can’t be rivaled from any other guitar company. Mine is exactly like the one in the picture except mine is dark metallic blue. I wish I could post pics of it! I hear the neck pickup sounds really transparent. My Dad has an Alvarez, Dana Scoop, year’92. It has a number on the guitar#055438, then there is a number on the case#C-160 it’s in it’s original case.On the front of the case it say’s Alverez Electric, USA. Signed by Dana on the headstock with the year 6/92. It’s a very dark blue,it almost seems black but it’s not. I’ve been trying to get some information on it for him. Would anyone here know it’s price value? I had an Alverez Dana, it wasn’t a scoop. I bought it in Delaware in about 1991 or 1992. I was told by the guitar store in Peddlers Village that Dana worked with Van Halen. An eMail reply from Van Halen years later proved that to be untrue. I got to meet Dana because I didn’t think his pick up choice was that great. Well no big deal, I switched back to the original pick ups. I did like the guitar and miss it dearly, however, my daughter has it and my grandson is learning how to play. OMG if this IS for sale I have to have it as I currently own the matching Nashville (tele) model in translucent white and this would be the coup de gras to my collection. Please get back at me…I’m really not joking and am a more than serious inquiry. I love the alvarez dana scoop. I am proud to say. I acquired the actual 5 ALVAREZ DANA SCOOP that was on display at namm in 1992. When it won the award. anyone can contact me for pictures. plug: hey sooo if anyone is interested in seein’ mine and perhaps negotiating a price, shoot me a text on my google email…or just email me lol 9136202034 — nrumjuiceboxx@gmail.com – code word; “Alvarez Rez?”*- totally use the code word…if its on ebay by the time yalll see this, my ebay is rum-juice-box…. I need a picture of the wiring of the pre amp circuit. I had this exact guitar as a kid. It was the first “NICE” electric I ever bought. I LOVED this guitar. 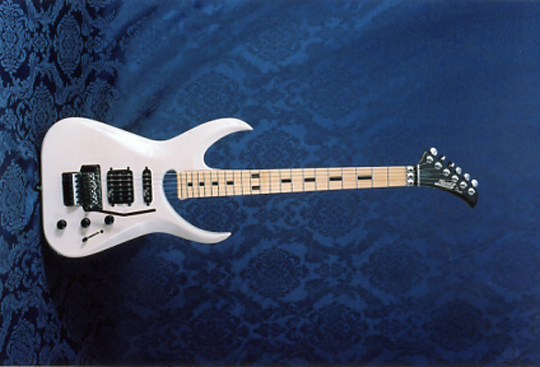 It was such a sweet playing instrument – the hard rock/metal I used to love back in the day (along with some obscure stuff like Satriani, etc) was such a delight to play fast on this guitar. As my tastes changed, I ended up selling it and putting the money into another guitar (an alvarez fuzion jumbo acoustic/electric that I still own 20 years later). Keeping the Dana wasn’t financially doable as a teenager. I have more guitars, my main electric is a LOVELY american made stratocaster set up just how I like it… I wouldn’t trade it for anything. But I often get nostalgic and think about buying another dana scoop (in white like mine was) for the collection. I bought a Ferrari red Scoop from a pawn shop in Indiana about 20 years ago and have never messed around or gigged with it. It has survived my hundred moves and made it to California with me. As I got older, I went back to my Les Paul and Strat but think I’m gonna get it cleaned up, set up and played finally! be taught from Mary Morrissey, THE master of selfishness. I’ve been referring to this Scoop as prototype pre sale. I’d appreciate any history on this signature guitar. Just dug one off the shelf in my basement to sell. A black one. How to tell if it is authorized or unauthorized?